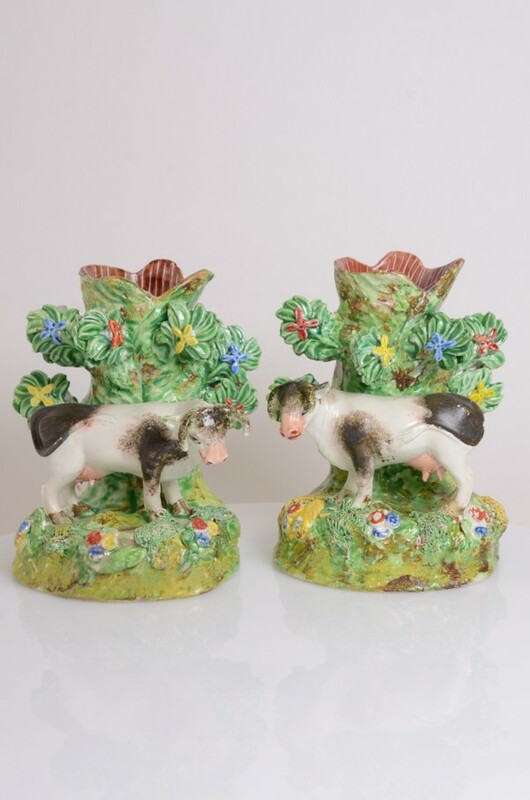 A delightful and previously unrecorded pair of pearlware cows, they stand before a decorated bocage tree trunk spill vase, both on a grassy mound. The bocage is especially unique with the feature of the central branch reaching over across the cows back. 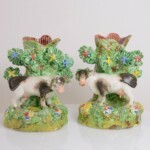 A highly decorative and charming pair of figures. Attributed to the Obadiah Sherratt pottery.